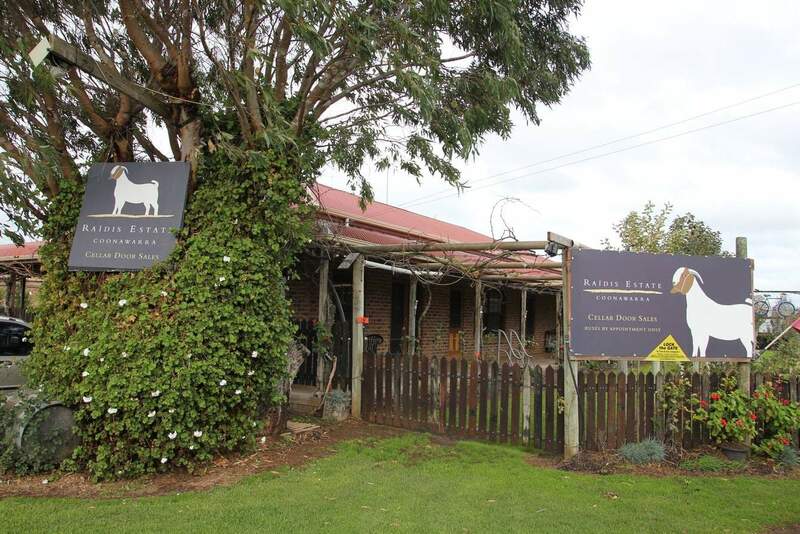 Raidis Estate is a Penola-based winery, close to Coonawarra’s world-famous wine region. 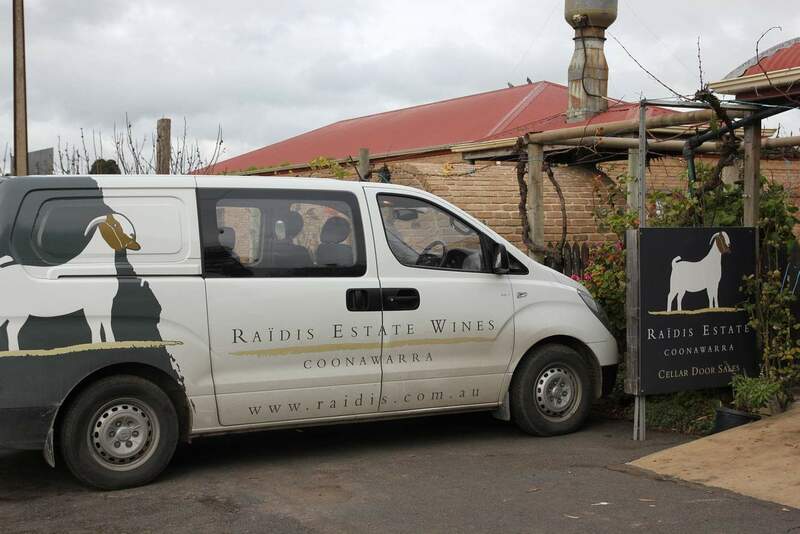 Raidis Estate is a large vineyard and winery that has two separate vineyards, both vineyards in the Coonawarra wine region. Apart from Cabernet Sauvignon, this vineyard also features Riesling, Merlot, Shiraz, Pinot Gris and Sauvignon Blanc. At Raidis Estate, the viticulturists follow sustainable practices for the vines. Thus, they hand prune and limit irrigation, especially for their Cabernet Sauvignon and Riesling varieties. Due to regular hand pruning, the vines get plenty of sunshine and air. This in turn helps the vines to grow healthy with less air-borne and fungal disease, so the viticulturists use minimal chemicals to spray on their vines. 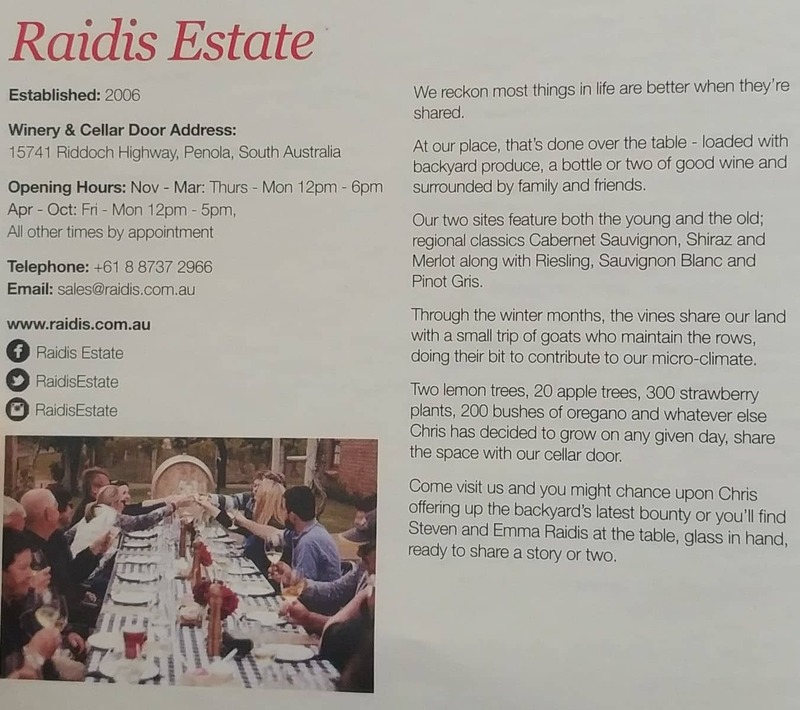 Visitors can come here for a wine tasting trip and will be happy to know that Raidis Estate offers an upscale dining venue where you can enjoy a delicious meal. Match the estate’s authentic wines with a gourmet dish, prepared by the chef. 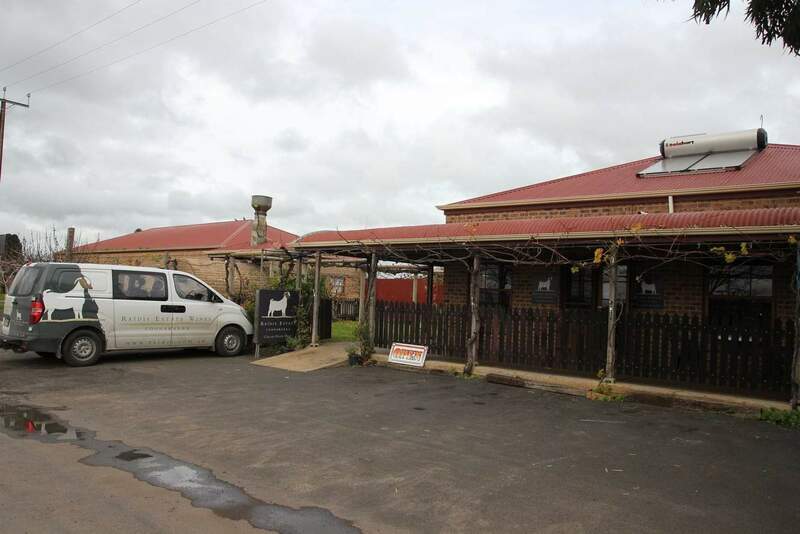 This family-owned property features good food and the finest wines for you and your family.